Newsflash: Summer’s not over yet! You still have plenty of time to book that trip you’ve been planning on getting to all year. And once you do, you’ll need to have some particular travel essentials tucked away in your luggage. Sure, there are the basic needs like a toothbrush, shampoo, and some good deodorant. 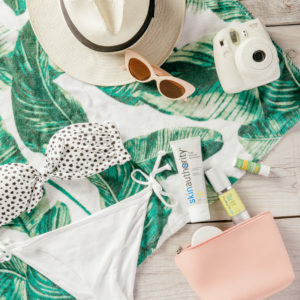 But the following products should get you to where you’re going feeling refreshed and ready for fun in the sun! This is a must-have in your bag even if you’re not going to a place where the sun is blaring. You’d be surprised where UV rays can pop up, so it’s always important to protect your skin against them. 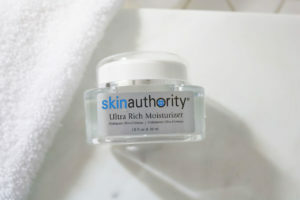 We suggest having our Age-Defying Moisturizer (coupled with our Super C Serum) in your arsenal for maximum protection. 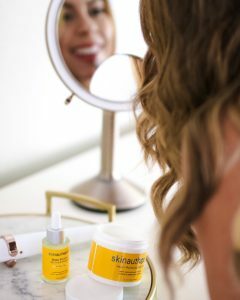 Our Age-Defying Moisturizer is a lightweight sunscreen to guard you against the sun while the Super C Serum is packed with Vitamin C and will give the added protection while increasing skin firmness and brightness so you can keep basking in that daylight! After a long vacation day out and about, your face will probably experience some environmental stress. A great way of giving it some R&R is to give your dehydrated visage something refreshing. We have just the trick for you: our hydrating Under Eye Rescue mask! This will decongest, depuff and lift the areas under your eyes so you’ll be looking bright and fresh for your next day out on the town. It’s hard to follow a traditional evening routine on a flight, so we opt for our Perfection Peel Pads, that works wonders for smoother, firmer, and brighter skin. One sweep of our exclusive peel solution will rid your pores from environmental elements, dirt, and sweat that can accumulate while navigating through grimy transportation. They’re gentle enough for daily use yet powerful to transform dull skin back to its luminous appearance. While you’re lounging by the pool, keep your skin in tip-top shape with a cream-based formula to keep dryness at bay. Our Ultra-Rich Moisturizer will do all the heavy lifting for you! The combination of Aloe, Mango, Bergamot, Shea butter, and Safflower works to calm inflammation so you don’t have to stress. These natural botanicals will nourish your complexion for a dewy finish lasting long after you’ve checked out. It’s always a good idea to have a smooth looking face before heading out. So for you guys, we have our Anti-Aging Shave Serum. 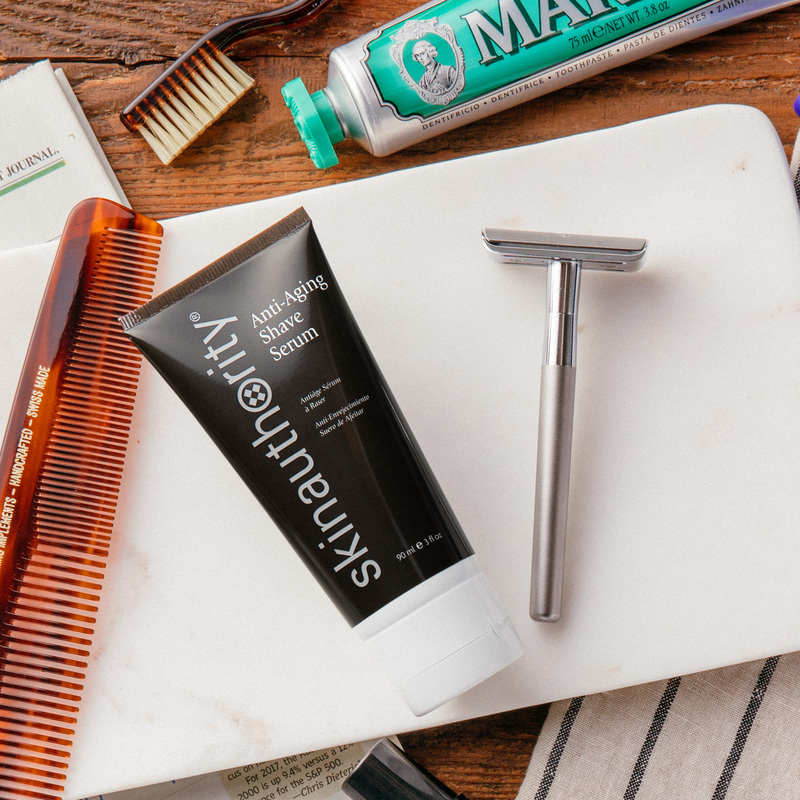 Our unique serum gives you a real close, irritation-free shave while it moisturizes your skin. A small dollop for a very thin layer will go a long way. And girls, don’t fret if you forgot your shaving cream at home. You can totally borrow this lotion in a pinch!